Samsung FRP Tool is the latest tool for all Samsung users. 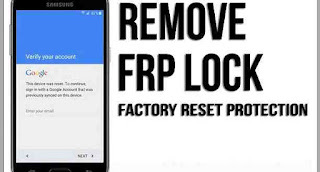 This latest frp lock removal software easily unlocks FRP of Samsung devices within seconds. This FRP unlock tool is recently released with new and powerful features. If you want to bypass any kind of Samsung smartphone device FRP, you can use this latest tool without any hesitation. This Samsung FRP unlock tool is also used for reset factory data of Samsung devices. If you forget the password and username, you need this FRP tool to reset the Factory data. Sometimes we need Samsung FRP Tool when we forget the Google Account and Password. So download and install the latest and best FRP unlock tool without box for your device. You can download this latest tool from our website. Now you can download and install this latest Samsung FRP unlock tool without pay of any cost. So unlock of Factory reset Protection of your Samsung device with this tool and enjoy. Features of Samsung FRP tool. This tool easily removes FRP locks on any of the Samsung smartphones and tablets. This tool is the best FRP unlock tool for Samsung Galaxy devices. This tool allows you to reset phone dialer at any time. Free tool for all Samsung smartphone users. If you don’t know google login details then, it is the better solution for you. Simple and easy to use to unlock FRP. You can download Samsung frp tool for Free. If you want to use this tool to remove FRP, you need to follow the process below. At first, you should download this latest tool at the given link. Then keep your phone in download mode. To do this, power off your phone. At the same time, you need to press the volume up and volume down button with the power button. Then a warning button will appear. Press volume up to continue. Now connect your device with a USB cable to the PC. Then install and open the FRP tool and from the support option, you should select the model of the Samsung device. After that, you need to click Reset FRP option. Samsung FRP tool is a unlock tool for Samsung devices. This is the latest software which is easy to download and use. This tool easily bypass all kinds of Samsung FRP. We think that it is complicated to do a hard reset of Samsung device. But if you choose the right tool, you can do it without any trouble. If you looking for FRP removal tool for your Samsung device, Then click the given download link and install this latest tool for free of cost. This tool software will automatically detect the ADB device when you connect your phone to your PC. Samsung FRP removal tool will read the phone information and unlock your smartphone within seconds. This latest tool is compatible with all Windows XP, Windows Vista, Windows 7, Windows 8, Windows 8.1 and Windows 10 (32 bit and 64 bit). So click the given link for Samsung frp tool free download.